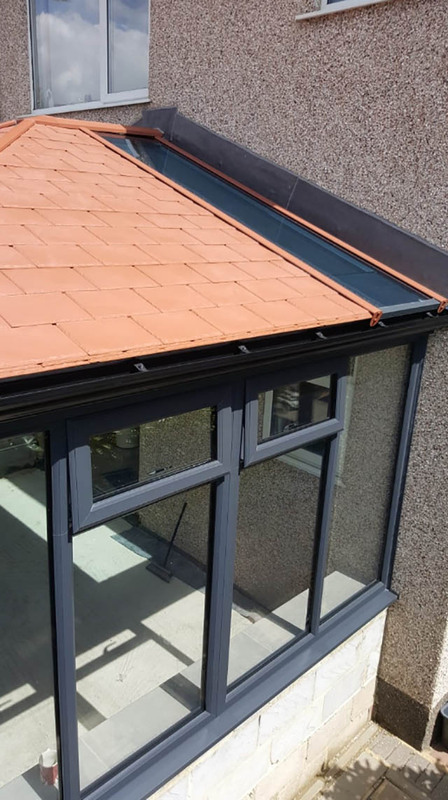 Another great example of a modern day conservatory that is built to be more like a traditional house extension with a partial solid roof. 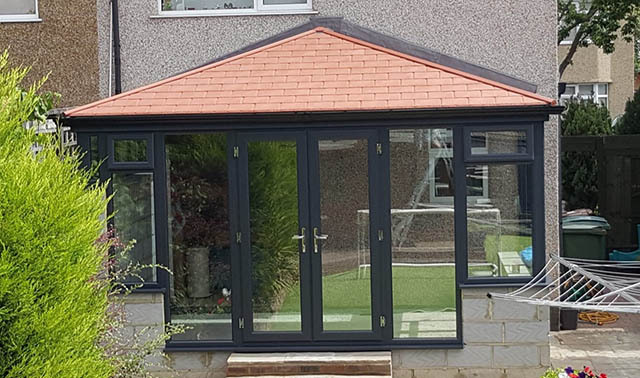 This Ultra Tile 380 conservatory was installed for a customer in Cheam, Surrey and was designed, installed and project managed by the whole Cousins team. Visit our conservatory display centre in Horsham, West Sussex. 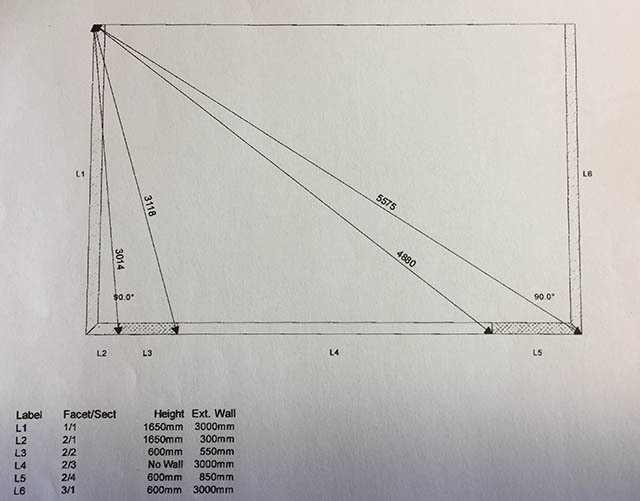 Here is the baseplan that our builders worked to. 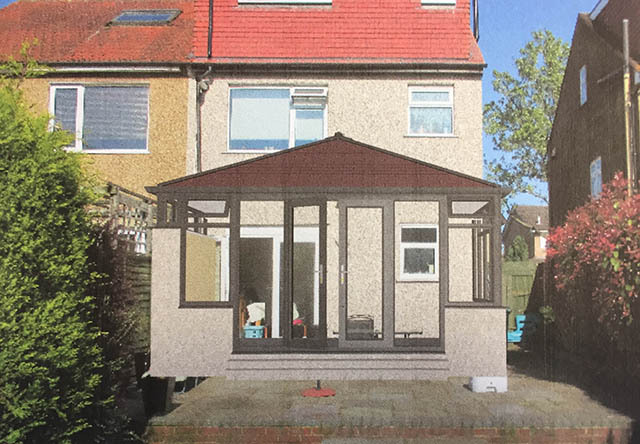 We always produce a CAD drawing after survey to show how the building will look once completed. You can see the red tiled effect here, to most people this doesn’t look any different to a traditional external but is available for a fraction of the price. Here is a close up of the glass panels in the roof. We always use Pilkington Activ Glass.